It’s time for another cross stitch-a-long (SAL)! If you’re not familiar with how they work, you buy the pattern and it is released in parts (weekly) to your email. You can also buy the kit which includes all the materials you need to stitch the pattern, but the pattern is still sent to you via email. 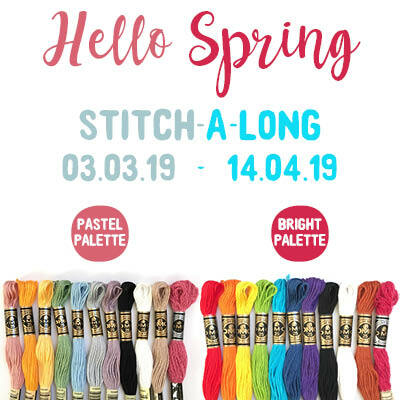 The Hello Spring SAL will run from 3.3.19 – 14.4.19; 6 weeks of spring stitching! As always, you get options and there will be 2 colour palettes available for this SAL. But you don’t necessarily need to pick just 1; you will be emailed both versions of the pattern. However, if you are ordering the kit you will need to pick one so you can get the right thread colours. Or of course you also can buy both, and I have a bundle for the 2 palettes. The palettes for this one are just simple “bright rainbow” or “pastel rainbow”. To purchase the Spring SAL click here. Those of you who have been around here a while will know that I usually like to make designs that fit in a hoop for framing, but this design is not one that will do that. It’s a sampler and will be better suited to a traditional frame or you can make a banner like I did for the Summer SAL last year! 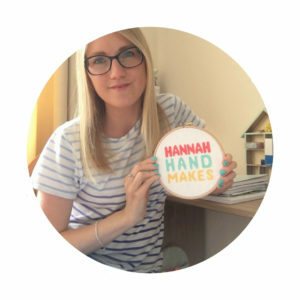 The pattern is kept a secret, but if you would like to see if before stitching just pop me an email (hannahhandmakes@gmail.com). I know not everyone likes surprises. The pattern is released every Sunday morning for 6 weeks, because Sundays were made for stitching. This pattern uses just whole cross stitches and in the kit you get 14 count aida, so it is perfect for beginners. 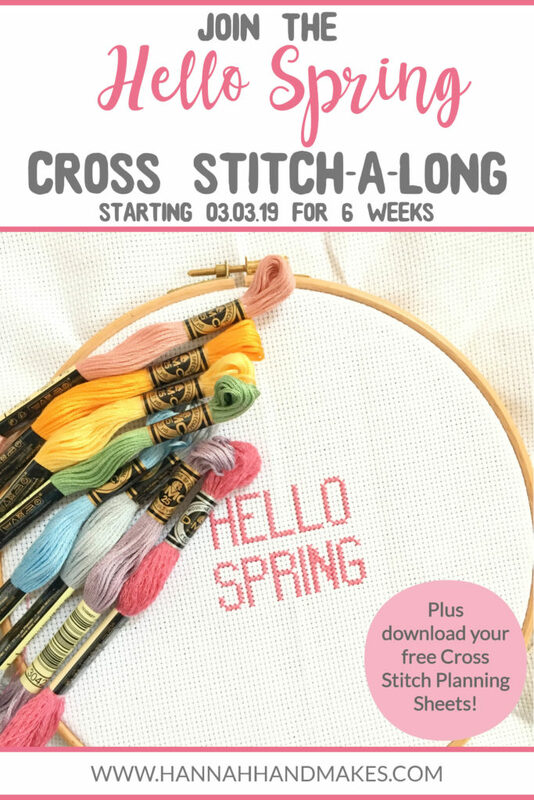 If you have never stitched before this is a great way to learn as I will be in the Facebook group every Sunday answering questions and sharing tips.